We all want to have wonderful resumes, perfect designs, the best structures, engaging content and eventually, wonderful results when it comes to receiving an answer from our possible employers. That’s why it is important to make look great, in order to stand out from the rest. For this, we’ve decided to make a list with the best resumes that stand out 2019, a list of resumes from which you will learn how they deliver such professionalism and make a good impression on every hiring manager. The best resumes 2019 are here for you to see how you can make your own shine. Learn here some essential tips on how to make a resume on word 2019. Columns are wonderful for resumes because they help you organize information within your resume, creating a faster but efficient approach to whatever you have to show yourself. You just need to make sure that it is easy to read and not confusing, like this: graphic designer resume sample. As you see in this example made in Adobe InDesign, the resume is totally easy to read and wonderfully structured. Using columns to better portray the information in little chunks of text without being boring and eventually giving a creative impression, it’s always a great idea. Using this kind of example you can eventually make a really creative resume. When it comes to resumes, the structure is almost an essential part of each one. You need to make sure that the layout gives enough readability and wonderful design in order to make it look more compelling and engaging. Just as using columns, you can make a good invisible layout, where every chunk of information is correctly put with a nice structure. 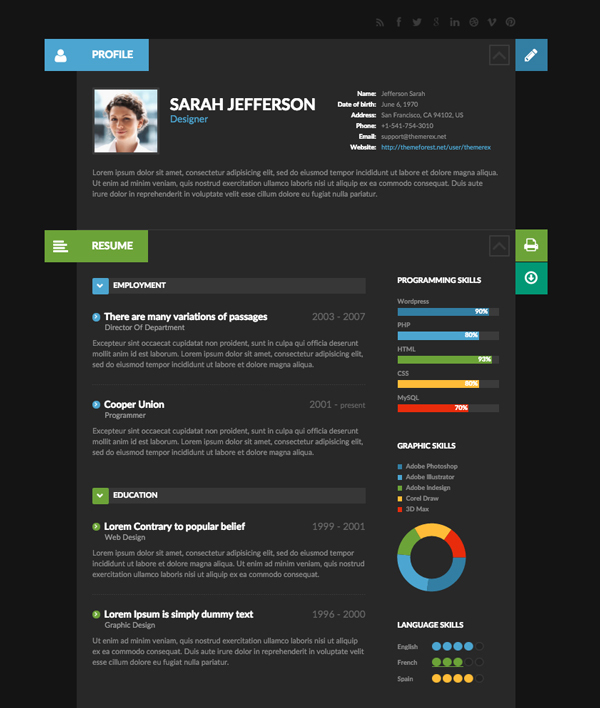 Like this: project manager resume sample. 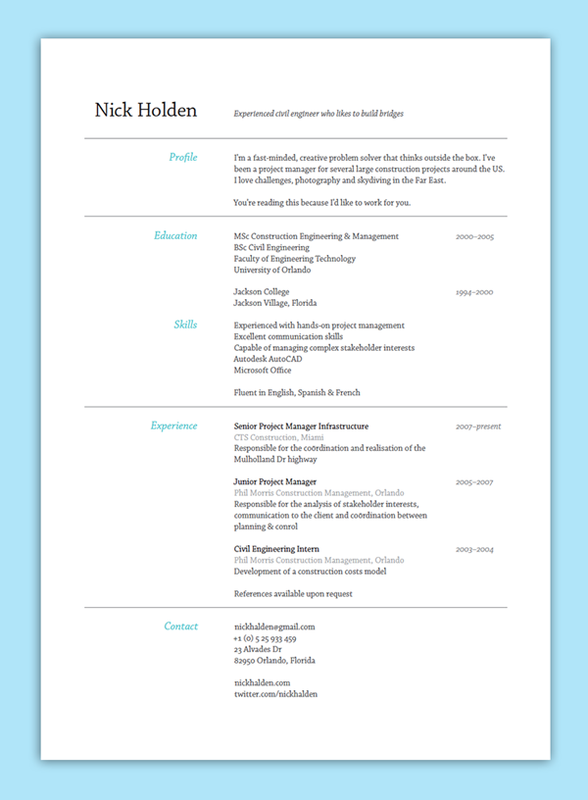 As you see in this example, the guy used a wonderful layout in order to structure his resume and make it easier to read and engaging. 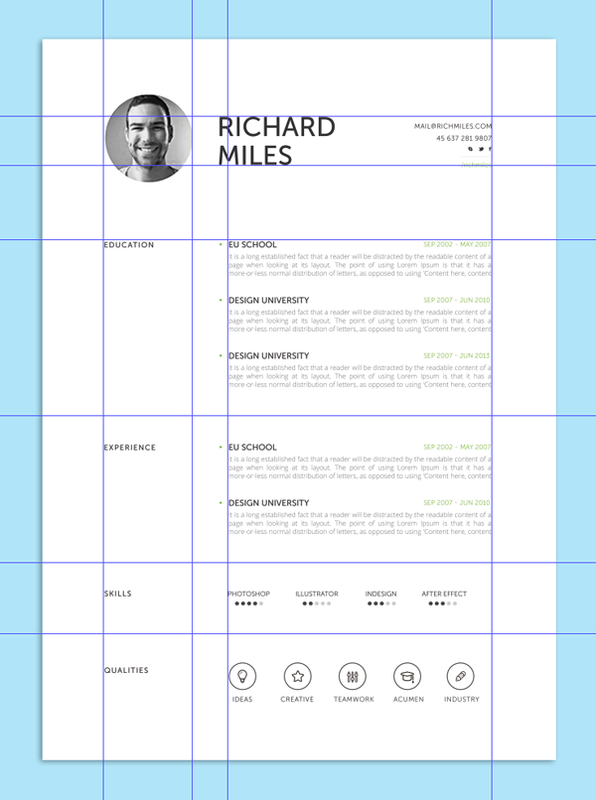 With a good layout, you are probably going to make your resume more interesting. Another especial tip we could offer you is the use of infographics. You can make use of these wonderful tools that will make it easier for hiring managers and possible employers to know things about you that you may want to tell them. Also, they can also make your resume look better and more entertaining. 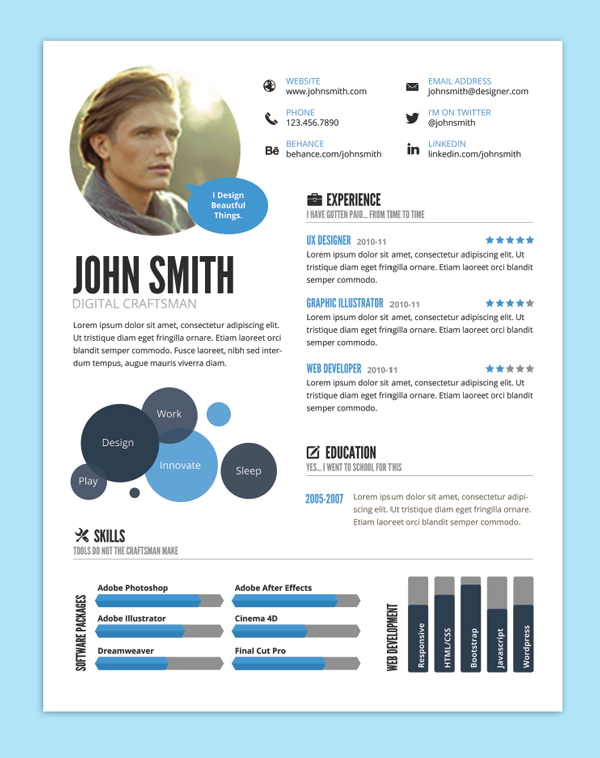 Take a look: designer resume format sample. Simple and easy, these infographics offer a different but really efficient approach into the resume. This way, you can engage anyone and eventually achieve a better consideration rate, as your resume will share part of your creativity. Are you wondering how to list skills on a resume 2019? Here is a useful info for you, then. There are times when you want to apply for a company or job position where you don’t need any type of creative or artistic ability. In this case, you can easily make your resume easier to read but at the same time, interesting and engaging. 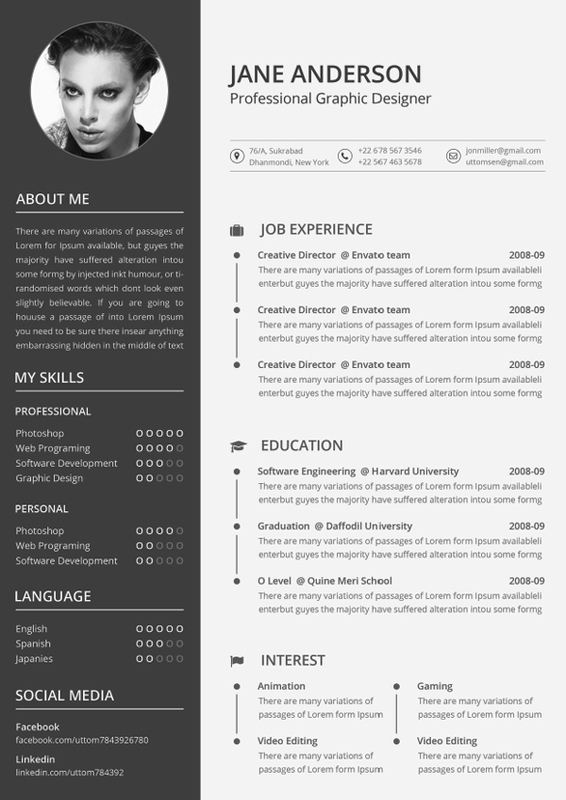 Just remember to make use of columns and a good layout, like this: graphic illustrator resume sample. It maybe not be the best resume, but it is still a nice example. You won’t have to use Adobe InDesign, Photoshop or any other type of software that demands time and effort. Simply make your resume without much trouble. Something that has been increasing nowadays, is the use of interactive resumes with more information and eventually much more things to show about the applicant. You can add lots of things to a simple page, but always giving the opportunity to surf within your samples of work, experience, achievements and so on. This way, you make it more engaging and interesting. 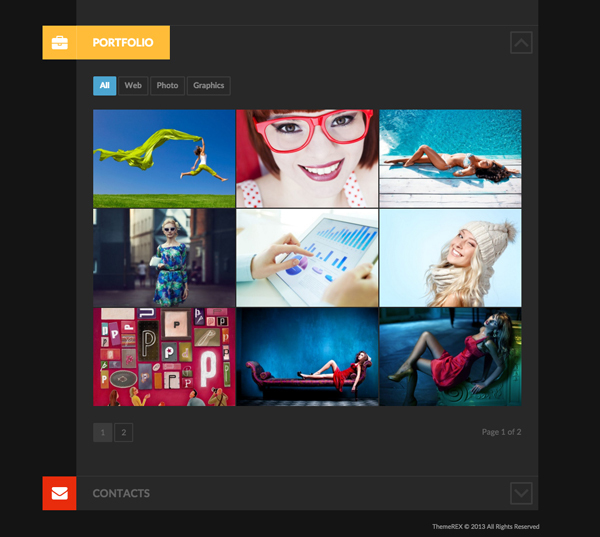 Take a look: designer interactive resume sample, designer portfolio sample. As you see, you can add thousands of things to an interactive resume, always making sure that it reads correctly and makes a good and engaging experience to hiring managers and potential employers. These previous resumes that stand out 2019 are some of the best examples you can look at in order to get your ideas to make your own. You just need to invent the concept of your resume, create a good and creative one that eventually engages people and looks wonderful. You don’t have to exaggerate, just to make it simple but creative enough to grab the attention of hiring managers. When you eventually learn how to make a creative resume 2019, you will eventually be able to create a pretty good resume by your own. Follow our recommendations and tips and create the most creative resume 2018! Start right NOW! 2019 Resume Length: What Is Too Long or Too Short? Resumes That Stand Out 2019: What 5 Features Make a Resume Creative?